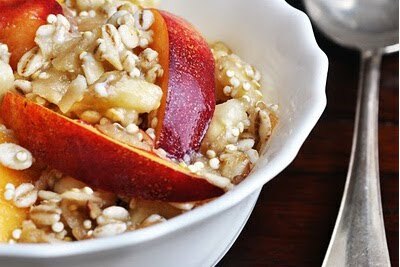 3 Grain Breakfast with 3 Fresh Fruit: This nutritious no-cook breakfast just needs a little effort the night before. You'll have a delicious bowl full of nutritious freshness the next morning. 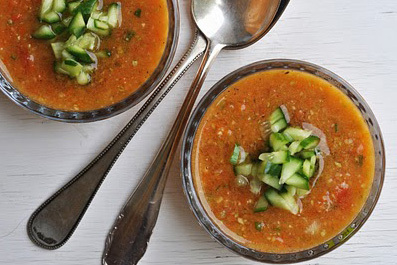 Gazpacho (Cold Vegetable Soup): A staple in our house at in summer. Perfect to make in advance, and best eaten cold from the fridge. It's basically raw pureed vegetables. It couldn't possibly get any more nutritious. A good starter or light meal for lunch or dinner. German Cheesecake: If there is one cake that has to be eaten really cold, then it is German Cheesecake. 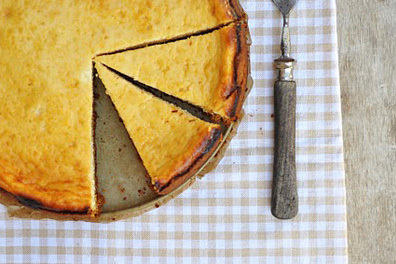 I love it in summer as it is much lighter and fluffier than the traditional cheesecake. Refreshing, but yet a proper dessert. 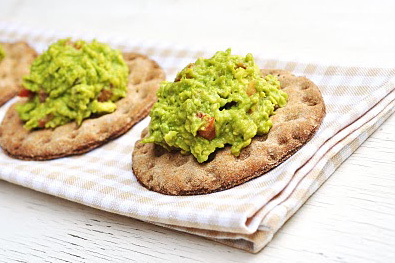 Guacamole: I love dips and spreads, and guacamole is one of my all-time favorites. Whipped up in no time, raw and simply good for you. That's why I love it inch-thick on my crackers. Herbed Chickpea Pancakes: a quick and gluten-free meal, that is quick to make and will fill you up with energy. Refreshing with herbed yogurt. 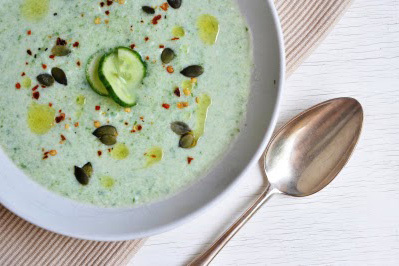 Iced Cucumber Yogurt Soup: a refreshing and light soup, no cooking involved. A cool alternative for lunch or dinner on hot summer days. 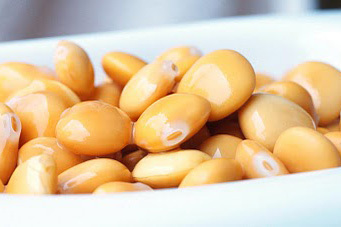 Salted Lupini Beans: to be honest, I haven't made these for ages, but I am soaking a batch right now, as we speak. It takes a little (Ok...a few days) time until they are ready to eat. 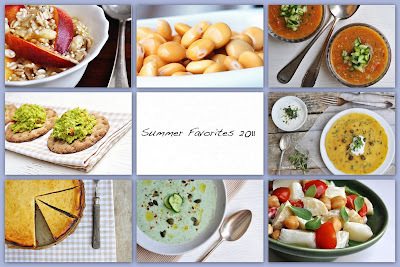 But then they are just THE perfect healthy summer nibble. (Note to myself: need to take better pictures of them, once the batch is ready). 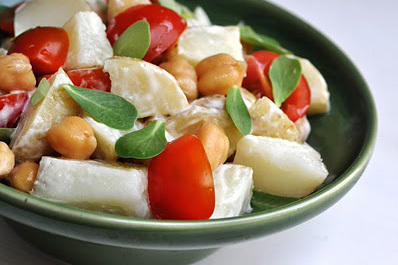 Summer Light Potato Salad: what's summer without potato salad. Her is my take on a healthy version. With raw veggies, home-cooked legumes and green leaves, and a yogurt-based dressing.